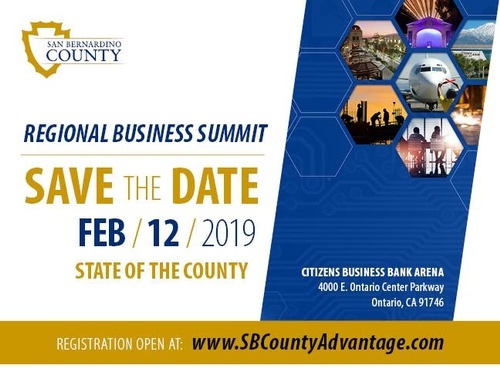 On February 12, 2019 more than 1,000 business, community and government leaders will come together for San Bernardino County’s annual Regional Business Summit and State of the County. The event theme “Innovate. Transform. Grow.” recognizes the County’s economic strength, business growth and innovative ideas designed to further transform the region.